Sandusky is a gem among cities when it comes to affordable waterfront housing. According to the website, Sandusky made the list primarily because of good schools, a low crime rate and the positive statistics of the median family income of $64,000 and median home sales price of $76,000. One caveat from forbes.com — most waterfront houses go for a lot more money than $100,000. “Most go for $1 million or more,” the magazine website stated. Sandusky, Ohio, USA is a great location for you next teambuilding exercises. Sandusky, Ohio, USA is located on Lake Erie and half between Cleveland and Toledo, Ohio, USA. Your team members can fly into Detroit, Michigan, USA or Cleveland, Ohio, USA. The anchor of the North coast is the 100-year-old amusement park Cedar Point. 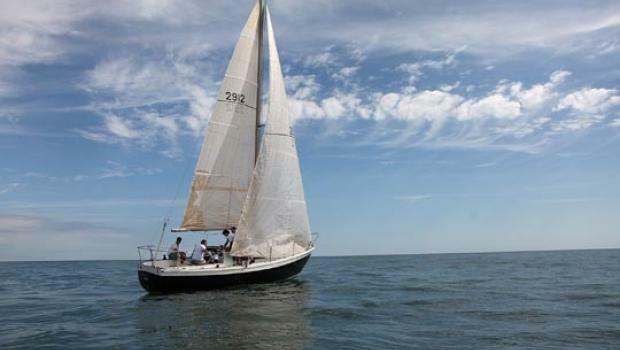 Your team can also visit the Lake Erie Islands, taste vintage wines at the winery, go fishing, sailing, or camping. The Sawmill Creek Resort has several different teambuilding exercises available for your organization. Take your team to Cedar Point, Sandusky Ohio , USA, and enjoy the thrill rides and the water park, Soak City. Take your team to the new rope course at the Kalahari Resort ! Cedar Point’s newest water adventure, Shoot the Rapids, will take riders on a 2,100-foot-long journey, through a wooded area and around an illegal still used for brewing sweet-tasting elixir, all while encountering surprise water elements and special effects. Opening in the spring of 2010 and with a price tag of $10.5 million, it’s the most expensive water ride ever built at Cedar Point.